The La Quinta Inn & Suites Houston-Clear Lake-NASA has been awarded the 2018 TripAdvisor Certificate of Excellence award Welcome to the 100% Non-Smoking La Quinta Inn & Suites Houston/Clear Lake-NASA. Be amongst the first to experience our newly renovated La Quinta Inn & Suites Webster. New decor throughout the hotel and guestrooms will completely enhance your guest experience. You will find that your absolute comfort during your stay is our primary concern and our attentive, service-oriented staff is here for your needs. 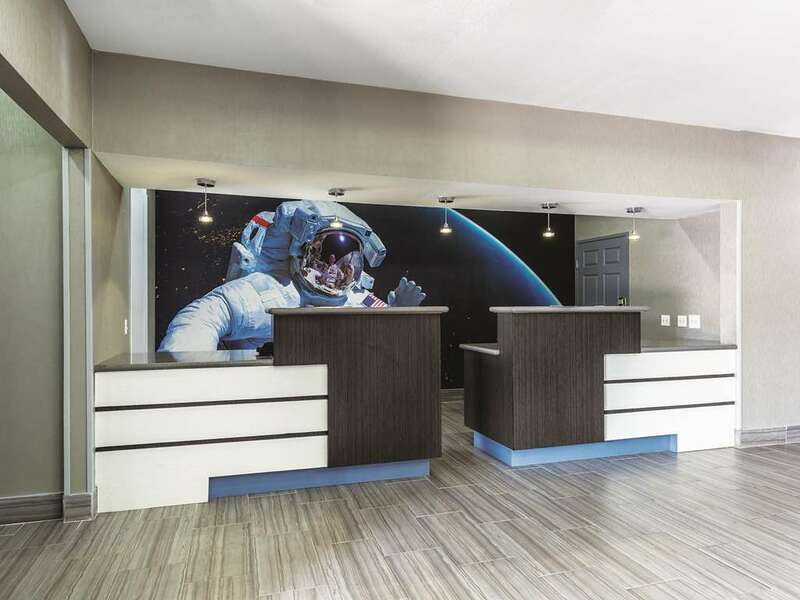 La Quinta Inn & Suites Houston/Clear Lake-NASA is conveniently located to several area businesses, entertainment venues, and educational institutions. You will find tons of distinctive shopping and dining. A top notch selection of golf courses is within a 10-mile radius. The NASA space center is 4 miles away. If you are up for an a little adventure, downtown Houston is within a half-hour drive. Easy access to/from I-45. All rooms feature free high-speed Internet access, microwaves and refrigerators, touch tone phones with voicemail, 32" TVs with expanded programming, hairdryers, coffee and makers, iron and boards. Be sure to start your day with our Free Bright Side BreakfastTM served daily in the lobby area. Take a dip in our indoor pool and relax in the whirlpool. Need to exercise? We have you covered with our on-site fitness center. Check your email in our fully equipped business center featuring free high speed Internet access. Reserve your stay today.